Most bikes don't need much looking after to keep them on the road. But a couple of hours of maintenance a month, and an occasional service, will mean safer, more enjoyable cycling. 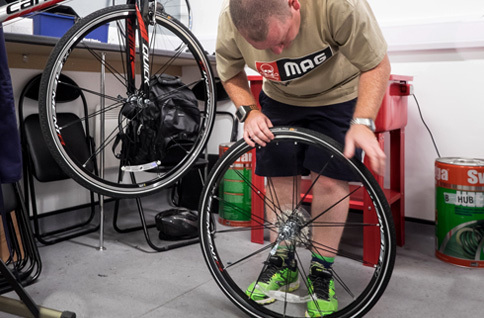 Compared to a car, it's not expensive to maintain and repair a bike, especially if you learn to do some minor work yourself – like changing an inner tube or cleaning and lubricating. 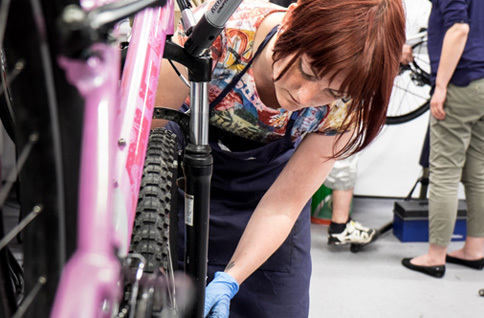 The basic maintenance course will show you how to check your bike for safety, adjust your brakes and gears; and learn how to mend a puncture. The basic maintenance course is provided at the subsidised cost of £5. 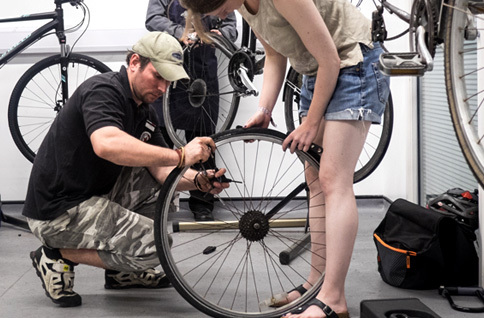 The intermediate maintenance course is a full day session and will help to build on your existing bike knowledge. 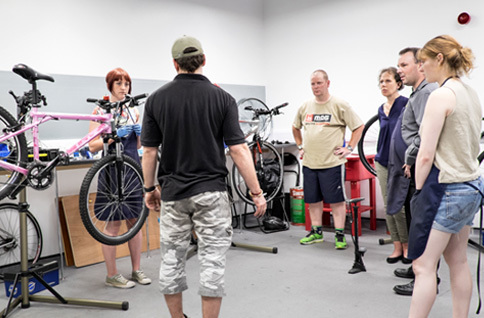 The course will show you how to complete a routine service as well as show you how to work on your brakes, cables and chains. The intermediate course is provided at the subsidised cost of £25​. Check the wheels. If a wheel wobbles it needs adjusting. If your wheels are secured with 'quick releases' (where you take them off by pulling a lever), check that they're tight. Look for missing or broken spokes. Check tyres are pumped up fully (easier if you have a pump with a pressure gauge) and aren't bulging or bald. Check your brakes. Put the brakes on, one at a time; you shouldn't be able to push the bike forward. If you can, the brakes need adjusting, or you need to replace the brake pads. Check the brake cables aren't frayed or corroded. Check that your handlebars are straight (at a right angle to the front wheel). Hold the front wheel between your knees and try to turn the handlebars. If you can turn them, they need tightening. Keep your chain and gears clean and lubricated. It makes riding your bike much easier. See British Cycling: How to lube your chain. Check that the saddle is straight (at a right angle to the handlebars), the seat post (the tube that holds the saddle) is secure, and that you haven't got the saddle too high or low – make sure it's not higher than the maximum-height mark on the seat post. Spin the pedals to check that they're not sticking. Grab the pedal cranks and check that they don't move from side to side. Check for cracks on the frame. If there is a crack, don't ride the bike. Check things like mudguards and light fittings are tight. 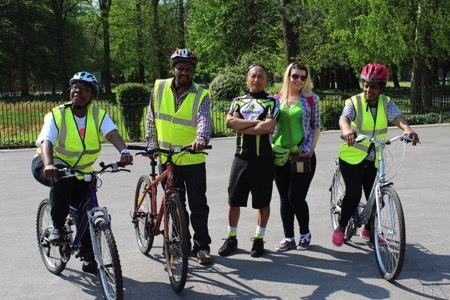 When you're riding your bike, take a spare inner tube, pump and tyre levers with you – if you have learned how to change an inner tube. A small multi-tool is useful to tighten anything that comes loose. At home, a track-pump (that stands up) with a pressure gauge is much easier than a hand pump. A set of allen keys, some cleaning and lubricating fluids and cloths will help keep your bike in shape. Sometimes you will need professional help to fix your bike. Your local bike shop can offer help and advice. There are also mobile mechanics who will come to you to collect your bike.